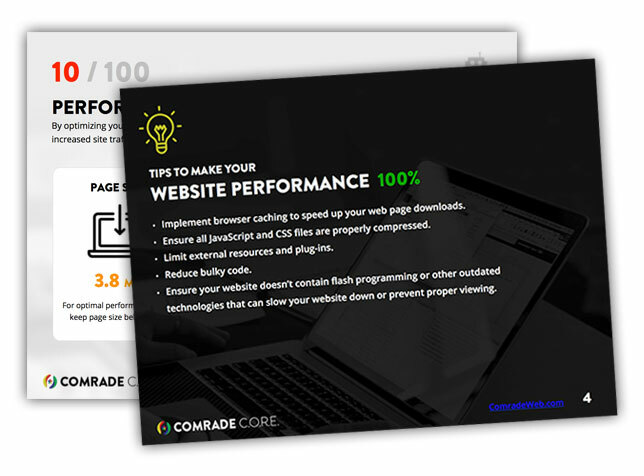 At Comrade Web, a Chicago web design company, part of working hard for our clients includes researching websites. In today’s ever-changing digital age, the website traits that attract and retain consumer attention vary based upon their expectations, devices, and psychology. Our web agency designers, managers, and SEO gurus regularly read User Interface (UI) and User eXperience (UX) studies, and occasionally experiment with our own site. 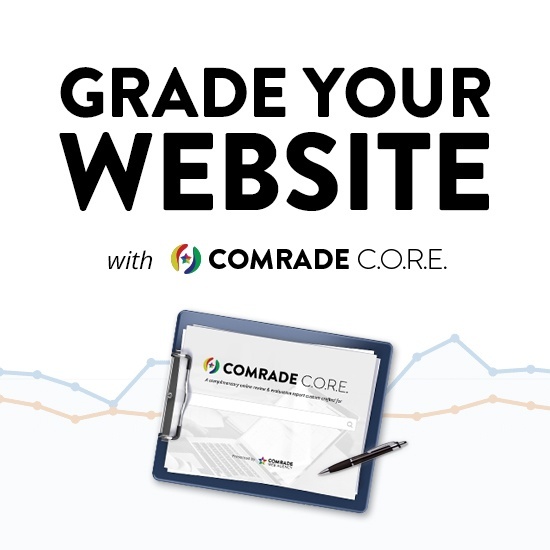 This practice enables us to identify the components that transform poorly performing websites into those that generate high-quality, targeted traffic; and which, in turn, will produce profitable leads. The result? Our clients receive research-based guidance that forms our strategic approach to the improvement of our Clients digital presence. Now, you can benefit as well. C.O.R.E. stands for Complimentary Online Review and Evaluation. At our professional web development agency, we analyze your website, testing it through analytics and designer input to understand its strengths and weaknesses. We’ll answer questions such as: “What should you work on to improve your online presence and attract new customers?”; “What is turning away potential consumers on your current site?”; “Are prospective customers locating the information they need to make a buying decision on your site – or searching elsewhere (like your competitors’ sites)?”. To begin working with one of the top Chicago web design company, all you have to do is fill out our short form. Next, our expert web designers, marketers, copywriters and SEO gurus will explore several fundamental aspects of your site. Utilizing our wide array of software tools, this Chicago SEO company will gauge your website’s overall performance, mobile device optimization, search engine optimization and use of social media. As a professional Chicago web design agency, we will evaluate your website based upon a variety of mission-critical factors including its information architecture, navigation clarity, and overall aesthetic design. 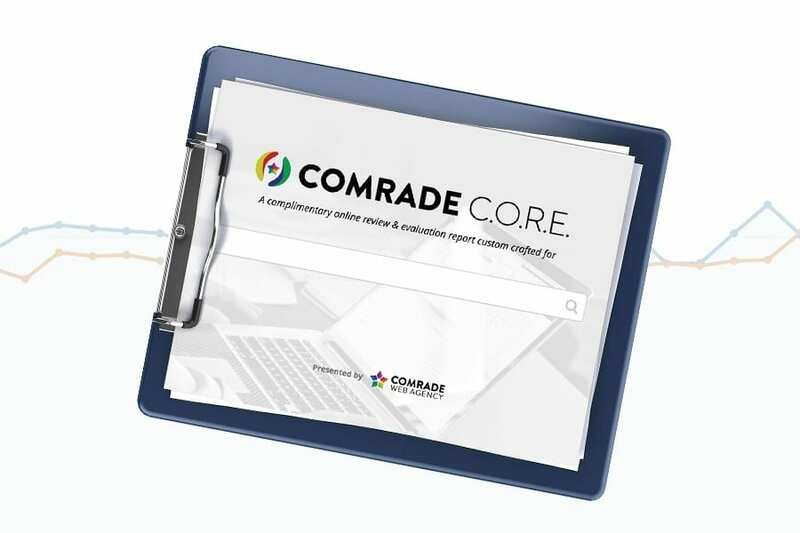 Through this report, we will pinpoint specifically the parts of your site that are working well, the elements that need to be tweaked and the aspects that should to be removed all together. In addition, we’ll provide “best-practice” web standard Tips to help you enhance your ability to effectively represent your company online. If you reach a limit in time, resources, skill sets; or would rather focus on other mission-critical aspects of your company, reach out to our talented team for assistance. Our agency specializes in web design and development, online marketing, search engine optimization (SEO) and inbound marketing. We truly appreciate the opportunity to help you revolutionize your brand, goals, and audience.